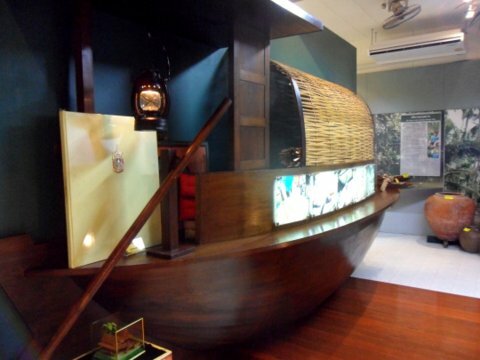 Rat Burana Museum a community museum preserves the history of another former agricultural district in Bangkok on the Chao Phraya that used to be areca plantations, fruit orchards and rice mills. This district on the Thonburi bank just south of the Bangkok city centre is not on the usual tourist circuit. But it has a very interesting history. The area however is changing. Urban development is catching up and much of the old Rat Burana is gone. Let’s take a look at what it was like before, what’s gone and what’s still there. Rat Burana ("restored by the people") got its name from the Rat Burana Canal that runs through the district and Wat Rat Burana the temple at the mouth of the canal. 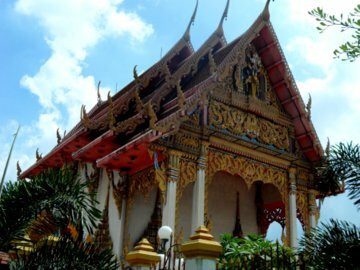 Settlers have lived here since the Ayutthaya days as the temples in the area indicate. 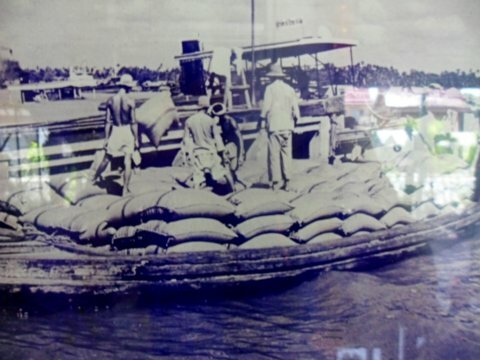 After the fall of Ayutthaya and when Thonburi was established as the new capital, Rat Burana became an outpost to protect the new capital from any threat coming upriver from the Chao Phraya estuary. The district was officially established in 1880 in the reign of King Rama V. Like Phra Khanong and Yanawa it was initially as a district under Nakhon Khuean Khan, a province that is currently in neighbouring Phra Pradaeng district. 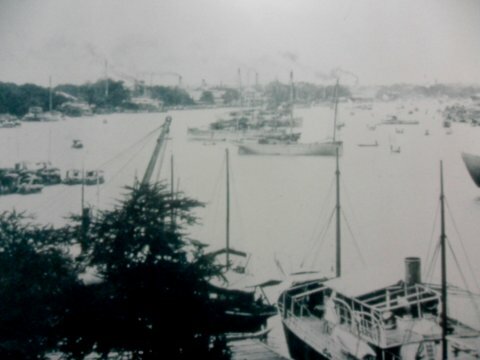 During World War II when Siam was allies with Japan, Japanese troops used the wharfs in Rat Burana for shipping. In that same period a great flood in 1942 destroyed many of the plantations in the area. 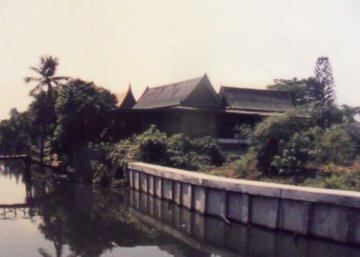 Later Rat Burana became a district in Thonburi province. In 1972 when Thonburi merged with Bangkok, Rat Burana came under the Bangkok Metropolitan Authority. 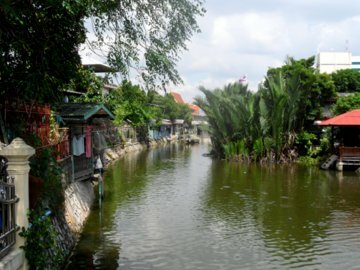 As the district is located on the banks of the Chao Phraya, the alluvial deposits by the slow flowing river created a fertile basin suitable cultivation of fruits and vegetables. There are several canals in Rat Burana which were dug by settlers in the Ayutthaya period. 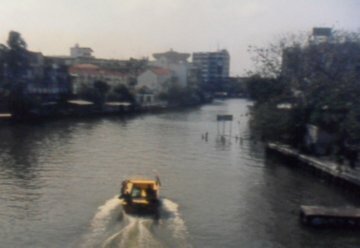 The canals ran from south to north and drained into the Chao Phraya. These canals not only provided irrigation for cultivation but also a means of boat travel at a time when there were few roads. What’s more unlike the Bangkok bank where many canals have been covered up for road expansion, these five canals are still around. Rat Burana was famous for its areca plantations cultivated by farmers who passed on the occupation from generation to generation. Areca palm produces areca nuts commonly known as betel nuts which are wrapped in betel leaves and chewed, a popular past time in the late 19th and early 20th C.
It takes 5 – 7 years for a tree to bear fruit, from 8 – 12 years the tree is highly productive. 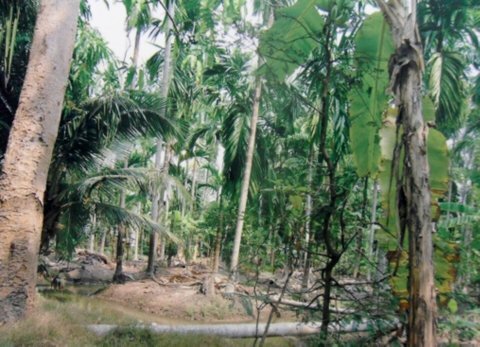 Trees should not grow taller than 20 m to produce big betel nuts. 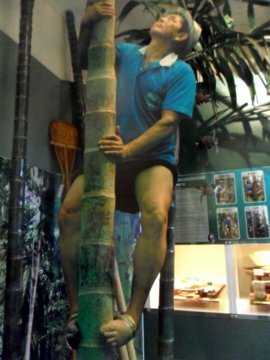 Climbing these areca trees to pluck the fruits was an acquired art and farmers devised several ways of doing it. In the picture below, vine made from the stem of the banana tree is used to bind the feet to provide the grip. 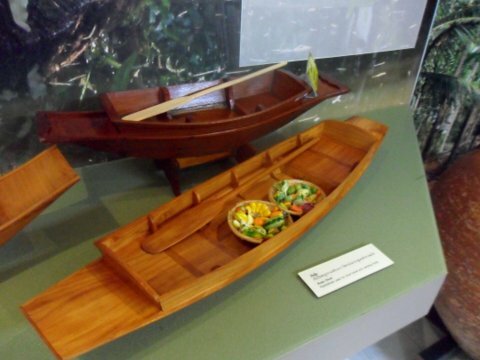 Betel nut chewing became a trend and took on the form of an art in the way it was consumed. Several utensils are used in preparing the betel nuts and leaves before consumption. Besides areca plantation other fruits flourished in the fertile soil in Rat Burana like coconuts, bananas, mangoes and jack fruits. 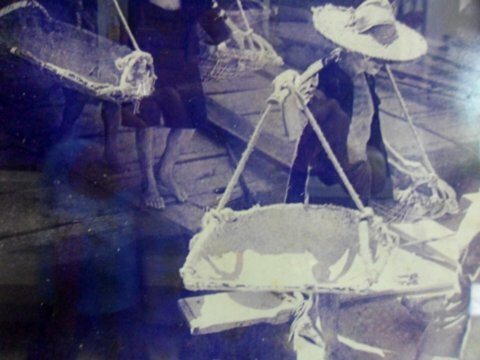 With the increase in rice export in the latter half of the 19th C, more and more rice mills were set up in the lower Chao Phraya to facilitate transfer of rice to ships berthed in Klong San and Rat Burana. Most of these rice mills were along the Chao Phraya between Klong San and Rat Burana. Godowns (warehouses) were also built along the river bank to store rice brought down-river by boats. 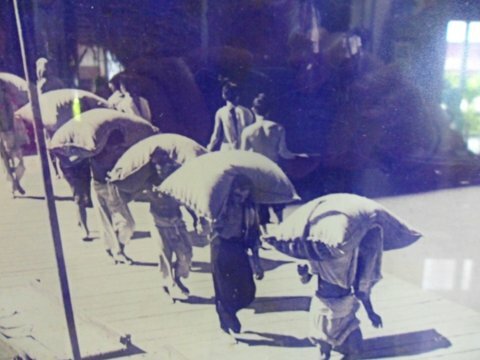 Manual labour was used to carry rice from the smaller boats to the rice mills, stored and later transferred to the ships for export. Chinese labourers, mostly Taechew from southern China, were employed for this heavy work. These scenes remind me so much of the Singapore River in the early 1950s and 60s when lighters transported huge sacks of rice from the ships anchored in the outer harbour to the warehouses along the river in Boat Quay. 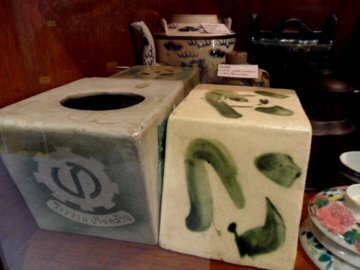 An unfortunate consequence of this tedious work was the tendency to resort to opium to numb the senses after a hard day’s work, a common practice in those days. Most of the temples were built in the Ayutthaya period (1351 – 1767) though some were renovated during the Rattanakosin era (from 1782 onwards). 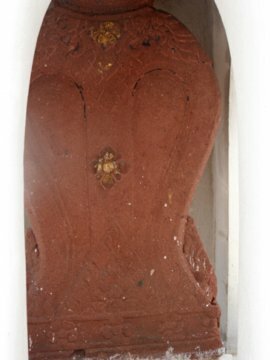 However the sandstone Buddha statues originally found in the temples and the sema (boundary markers) around the ubobot (ordination hall) date back to the pre-Ayutthaya period. 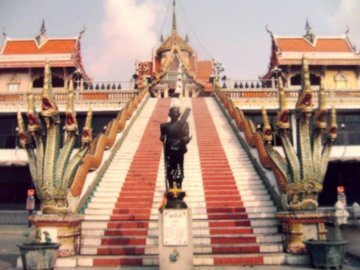 In the reign of King Rama III (1824 – 1851) several temples were renovated in the Chinese style, a popular trend in those days. One of the decorative designs was this floral pattern made from coloured pieces of Chinese porcelain. 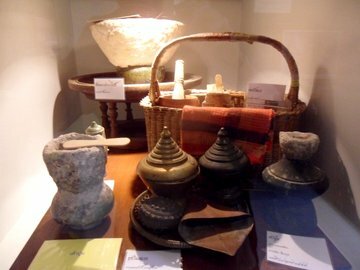 Several stuccos and Buddha statues recovered from the temples during renovation are now on display in the Rat Burana Museum. 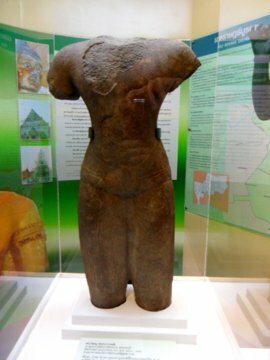 The centrepiece of the museum is this sandstone statue of Hindu god Vishnu in the Baphuon style (1010 – 1080 AD) named after the 11th C Baphuon Temple in Angkor, Cambodia. 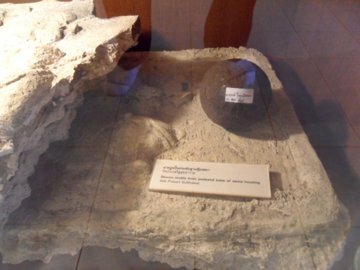 The statue was recovered from Wat Prasert Sutthawart. Of particular interest is Wat Prasert Sutthawart where the Rat Burana Museum is located. 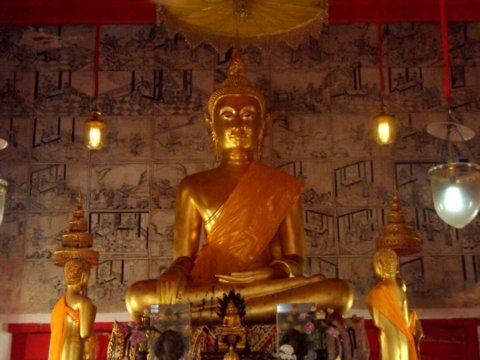 According to legend, this Ayutthaya period temple was built by a pig farmer. 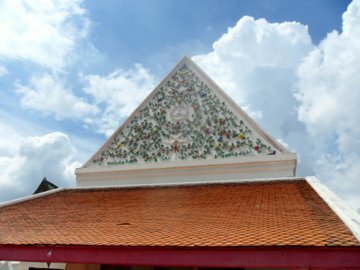 One day, while looking for food for his pigs, he found three large jars of coins and donated the money to build Wat Prasert Sutthawart. 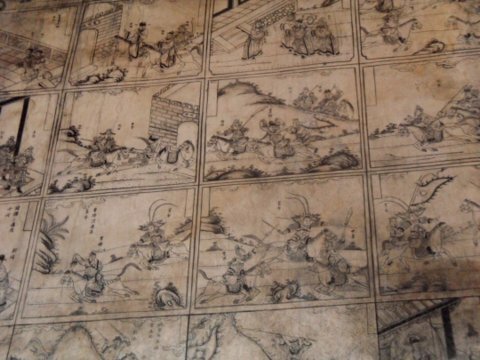 A special feature of this temple is in the ubosot (ordination hall) in which the four walls display murals with 364 pictures relating story in the Chinese classic, Romance of the Three Kingdoms* by Lou Kwangzhong. This historical novel about the battles and court intrigues during the Han dynasty in China from 2nd - 3rd C consists of 800,000 words over 120 chapters and it’s one of the greatest works in Chinese literature. *Romance of the Three Kingdoms was translated to Thai (Sam Kok) in the reign of King Rama I (1782 – 1809), one of the literary achievements in the First Reign. 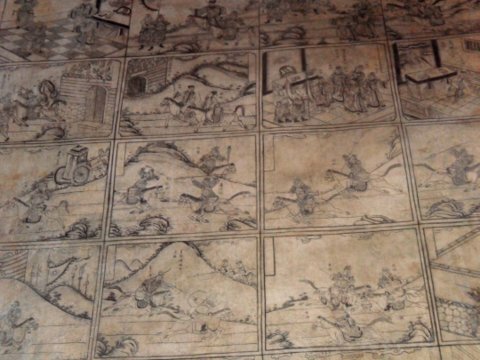 The other was the translation of the Hindu Ramayana epic to Thai (Ramakian), the text covered 3,000 pages! Like the other community museums, there are many old and interesting articles donated by residents on display in the Rat Burana Museum. 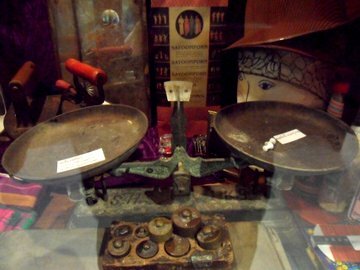 Most of these are household items like old pots, old charcoal irons, and tea pots used in the days of old. 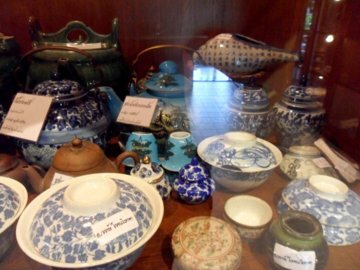 Some of these ceramics bowls and tea cups are rare commodities today. 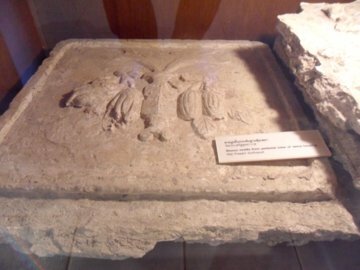 The others are relics recovered from the temples after renovation. These are mostly stucco works (masonry designs from the walls and pillar of the temples). 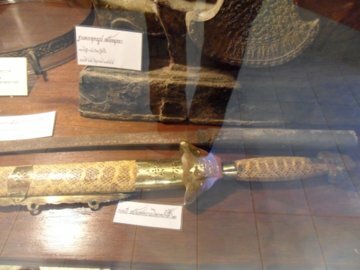 What surprised me were two war relics; one several hundred years old and the other relatively recent. Over the years, road construction has opened up previously inaccessible areas resulting in a steady rise in land prices. 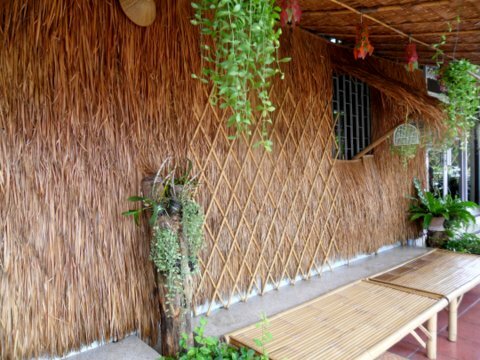 Many of the areca plantations and fruits orchards have given way to commercial development. The rice mills are gone and the opium dens are a thing of the past. Several of the warehouses along the Chao Phraya are vacant, with signs indicating that they are up for rent. Condominiums are starting to sprout up along the prime riverside land. In Soi Suksawat 24, one man continues to work on his areca plantation as his children have grown up and prefer to work in corporations. He expects to retire soon as the job is getting too arduous for his age. Until then, San Kettongrong aged 65 owns the last areca plantation in Rat Burana. I am grateful to the staff of the Rat Burana Museum for their hospitality and helpfulness during my visit. In particular a big thank you to Maliwan Tabpocha the museum administrator for all the information about Rat Burana. San Kettongrong who owns the last areca plantation in Rat Burana is Maliwan’s uncle. All photographs are with the courtesy of the Rat Burana Museum. 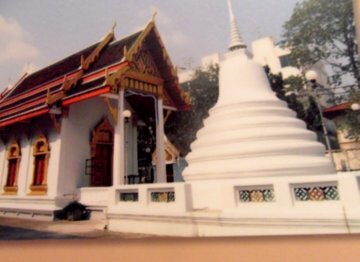 The Rat Burana Museum is located in the premises of the Wat Prasert Sutthawart School.